ESCM is short for 'Electric Sky Church Music'. The US CD release of this album contains the 'BT Puma Fila Edit' of "Love, Peace And Grease", which is shorter than the version on the UK CD album. The US CD also has "Lullaby For Gaia" as track 4, while the UK CD has "The Road To Lostwithiel". The rubber sleeve this came in damages plastic. It left a film on the disc and altered the surface of the jewel cases that were adjacent to it to a milky white. Most peculiar, but Road to Lostwithel seems to be a vinyl rip. At first I thought it was a "bad" mastering and was just clipping from distortion in places, but turns out not to be the case. It happens during the quiet breakdown at the 5:30 - 6:00 mark, there are crackles and pops clear as day if you load up the waveform in audition/favourite DAW. you can see/hear them quite clearly. Weird. I gonna say that this album is Extraordinary, Sublime, Classic and Magnificent. From start to finish, it's all about trance melodies and solid breakbeats. "Flaming June" is a superb trance classic, with the outro "Content" being in the same vein. The intro "Firewater" and "Memories in a Sea of Forgerfulness" got some arab chorus which fit perfectly with the airy notes, while "The Road to Lostwithiel" has a drum and bass tempo and this song sums up the meaning of "feeling good" pretty well. At last, "Love, Peace And Grease" is the sole big beat piece of the CD. It is impossible to feel anything but satisfaction while listening. Happy 20th birthday "ESCM" ! "Lullaby for Gaia" samples Depeche mode - "Shouldn't Have Done That"
I just put this on after not listening to it for many years. Man, I don't remember the last time I danced that hard without being drunk. 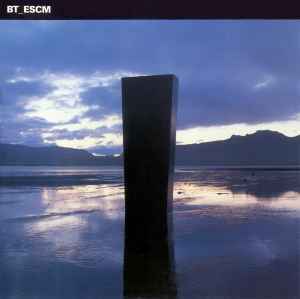 Despite BT being a trance pioneer, ESCM is almost anything but trance. Only 3 tracks (Flaming June, Nectar & Content) are trance, while the rest is a mix of Drum 'n Bass (The Road To Lostwithiel, Memories in a Sea of Forgetfulness), breakbeats (almost everything else). Even rock gets a show case here (Solar Plexus). I don't mind though, because most of the tunes are pretty good. The album isn't perfect. "Solar Plexus" feels out of place. It's also disjointed, ending abrubtly with piano and soft vocals dor the second half of the track. Some tracks, strangely enough, also builds up for something and never quite follows up on it. Everyone knows "Flaming June", but for whatever reason it ends with a very small drum 'n bass version. It sounds pretty good, but it's just sad that the album doesn't follow up on it. "Memories in a Sea of Forgetfulness" starts building up with live drums and rock guitars, then goes over to a drum 'n bass beat (that is a bit more relaxed than what the track build itself up too), and middle eastern vocals. To end this review. It's a great album, with a few flaws, that shouldn't ruin the album over all.